Hello friends! 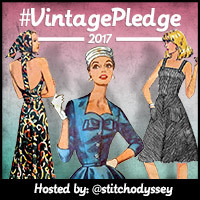 I have October's #vintagepledge stash interview just in the knick of time and it's another fabulous one! 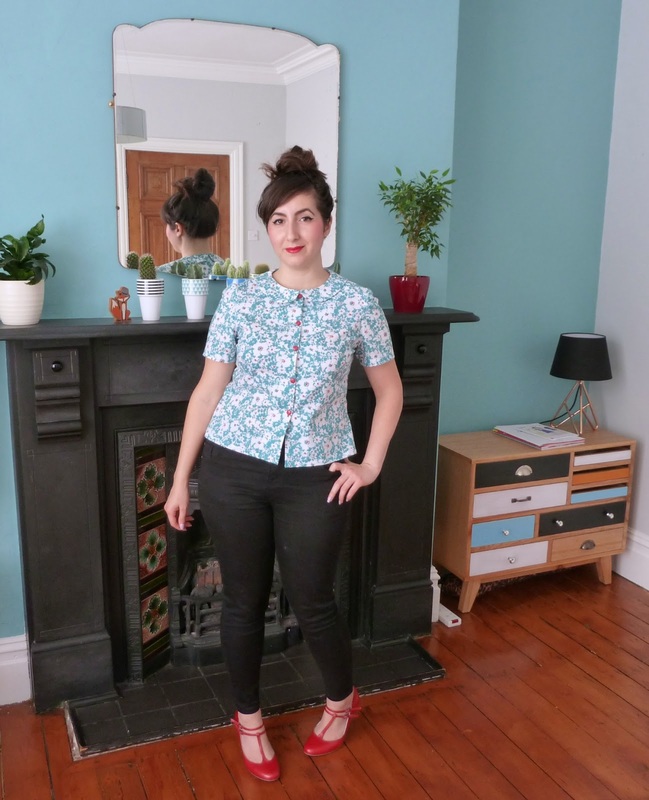 I've been a fan of Zilredloh since forever, lusting over both Liz's vintage-inspired sewing and knitting projects. Although renovating her stunning 1885 house has slowed her crafting down a tad, she's making a exciting comeback (look at this insanely amazing faux leather Robson Trench)! And did I mention she's a fellow bunny mummy? Gotta love a bunny mummy! 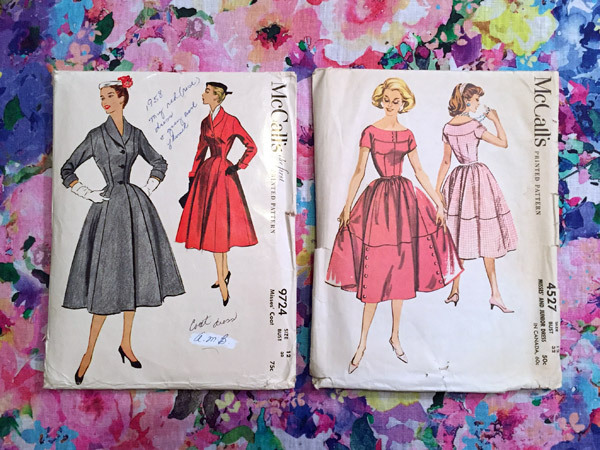 A very short 7 months after I enrolled in my first sewing course, I was collecting vintage patterns. 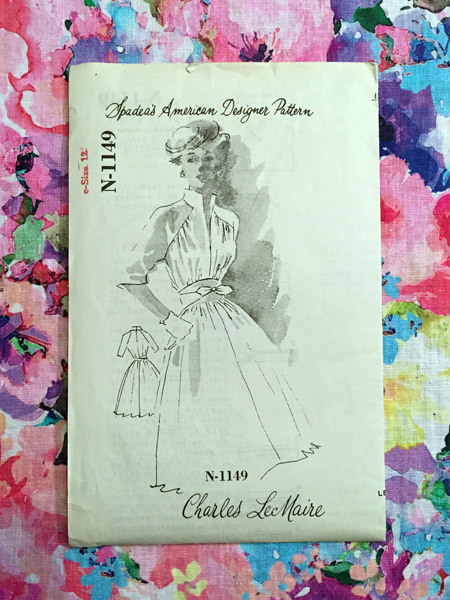 I wanted to learn how to sew, primarily to make Colette’s Macaron dress after seeing it on Gertie’s blog. From there I made the Ceylon which is very 40’s inspired. 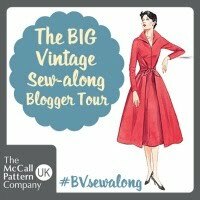 After that it was all downhill as I quickly realised there were mountains of vintage sewing patterns to be had and were begging me to make them up. To be honest, I only went to count how many patterns I have in order to answer this very question. 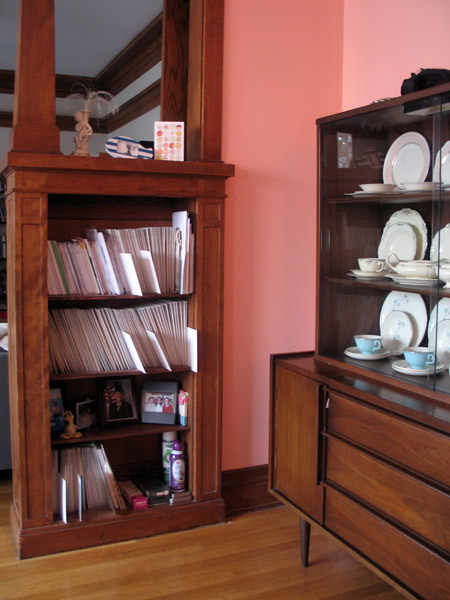 I love being organized and can’t abide all of the different sizes of pattern envelopes creating disorder on my shelves – where I used to store them. 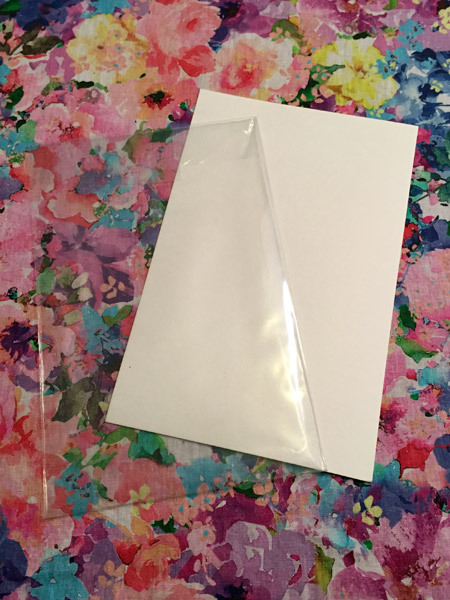 So for protection and my own sanity, I have them all in comic book sleeves (uv protection) and on a backing of acid free board so they're all the same size on my bookshelves. Having the patterns in roomier cases means I can flip through my collection without fear of hurting the delicate envelopes. Plus the extra room gives me a place to put notes for next time and my altered, traced pattern. 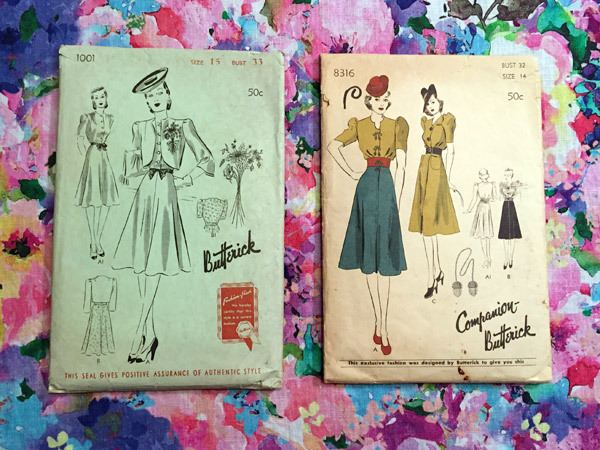 I trace all of my vintage patterns so that the next person can use them free of marks. While I feel very attached to my collection of patterns, I know that I'm only a temporary caretaker for these beauties. I hope the next seamstress after me will appreciate them as much as I have. My love of vintage extends beyond vintage patterns into movies from the 40’s and 50’s along with home décor from the same eras. I often see garments on the screen that I want to recreate along with being inspired by the iconic actresses themselves and their daily attire. One of my favorite patterns was worn by Katharine Hepburn in one of my favorite films, Desk Set – so naturally I made it my life’s purpose to hunt down that pattern for my very own. Back in 2011 and 2012 I would have told you 1950’s beyond a doubt. The full skirts and accentuated waists seemed best suited to my pear-shaped physique. 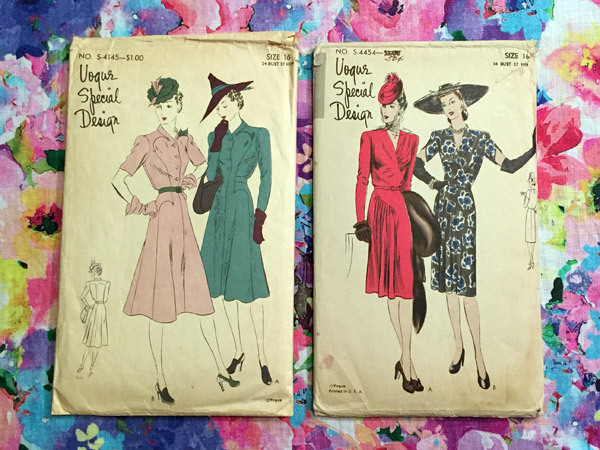 But as I’ve gotten a bit older, I’ve been leaning more towards 1940’s patterns. I’ve been able to fit them to my pear shape just as well as I did with patterns from the 50’s. 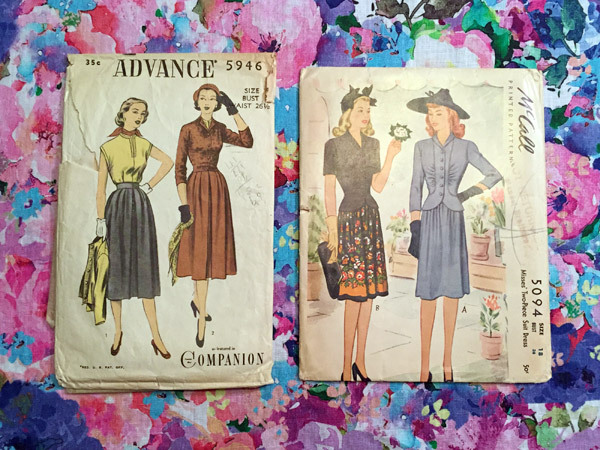 When I first started sewing vintage, the wide shoulders of the 40’s always turned me off. 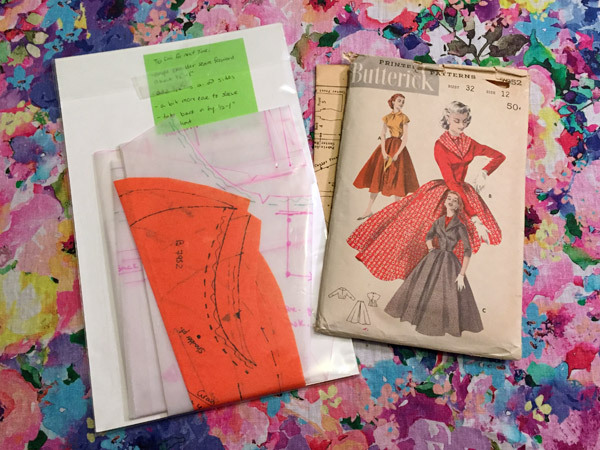 After sewing for 6 years, I’ve gotten better at modifying these patterns to fit my narrow shoulders and I love the challenge that the tailored styles and unusual style lines provide from patterns in the 40’s. 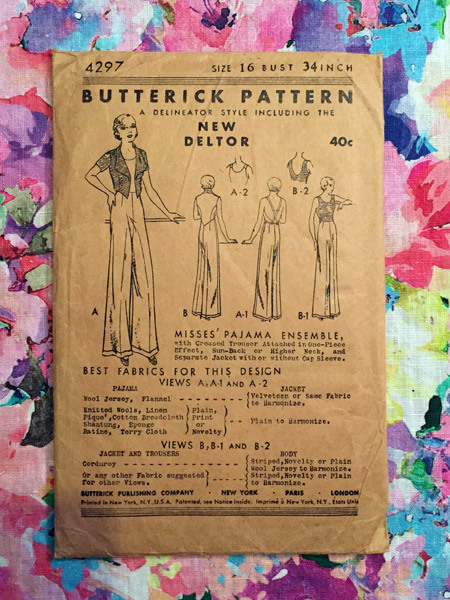 I have this beach pajama pattern from the 1930’s that I believe is the oldest in my collection, a New Deltor Butterick pattern #4297. 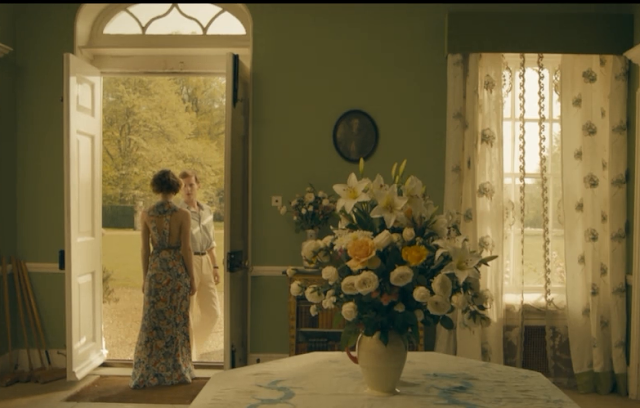 I had just watched Cheerful Day for the Wedding and I was hooked on the main character’s lounge set. So after searching for a few weeks, this pattern popped up on Etsy and I had to have it. I haven’t made it yet, but I hope to one of these summers. Picking a favourite pattern to me, is like trying to pick a favourite child – they’re all special and lovely for one reason or another. Not to mention, my favourites are always changing from one season to the next. 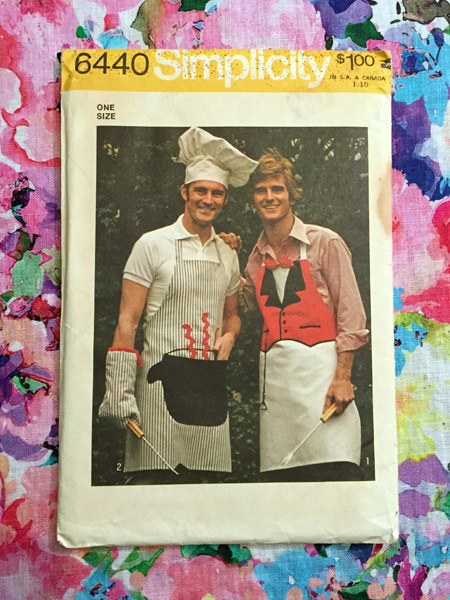 I mean come on - a tuxedo apron with happy 70's 'gents?! It's so funny, it always makes me chuckle when I see it. One of these years I'm going to make it up for my dad. Hmm…. I’ve always tried to only purchase patterns that I will eventually make myself. I have fallen out of love with certain patterns, but I know that one day I’ll fall in love with it again and will be reminded how much I loved it in the first place. I think the odds are slim that I'll need to be this swanky for my Research Analyst 9-5 job, but a girl can dream. 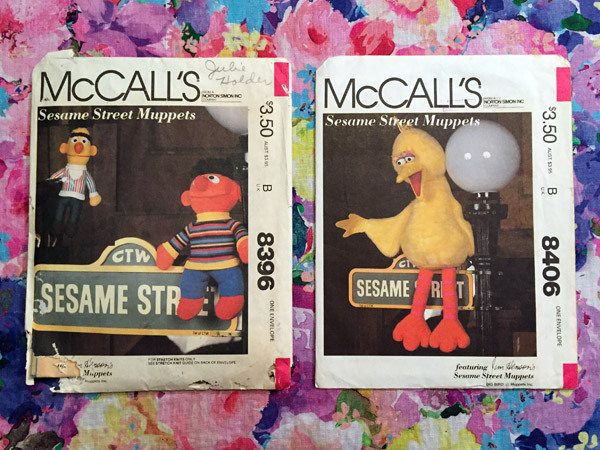 I also doubt I'll be making Bert & Ernie or Big Bird - but my mom made these for my sister and I when we were young and I have such fond memories of them - they'll never leave my stash. The only patterns I get rid of are duplicates or if something doesn’t work out on me after trying to sew it up. I know it’s still a great pattern – just not for me – so off to a better home it goes. 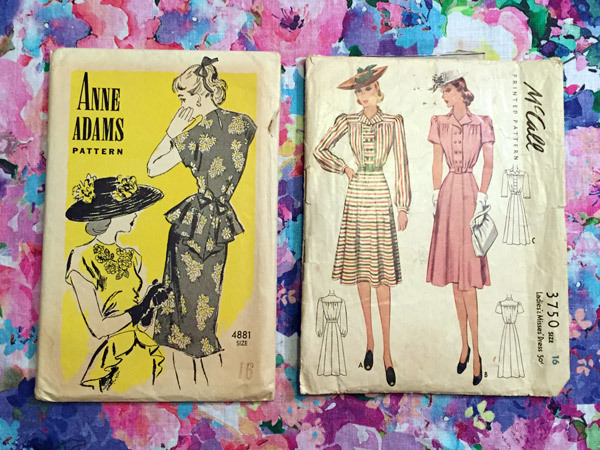 I’ve bought a great deal of patterns off ebay and Etsy when I first started collecting. 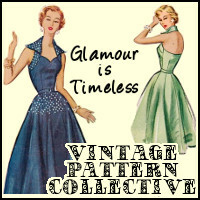 But every time I go to the flea market or a vintage market I’m always on the hunt for new patterns. 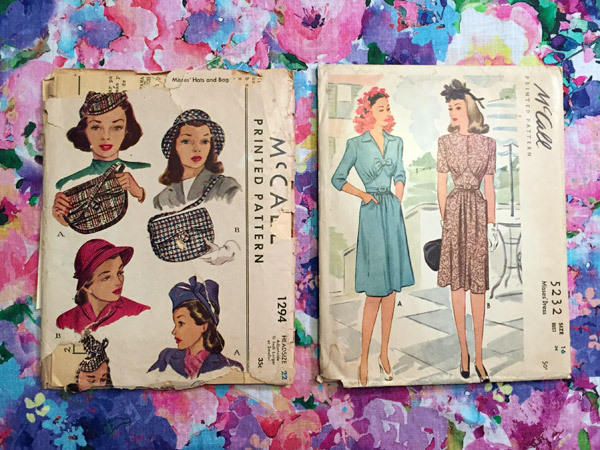 Flea markets are THE best places to go for vintage patterns on the cheap – a lot of the vendors don’t realize the gems they have. 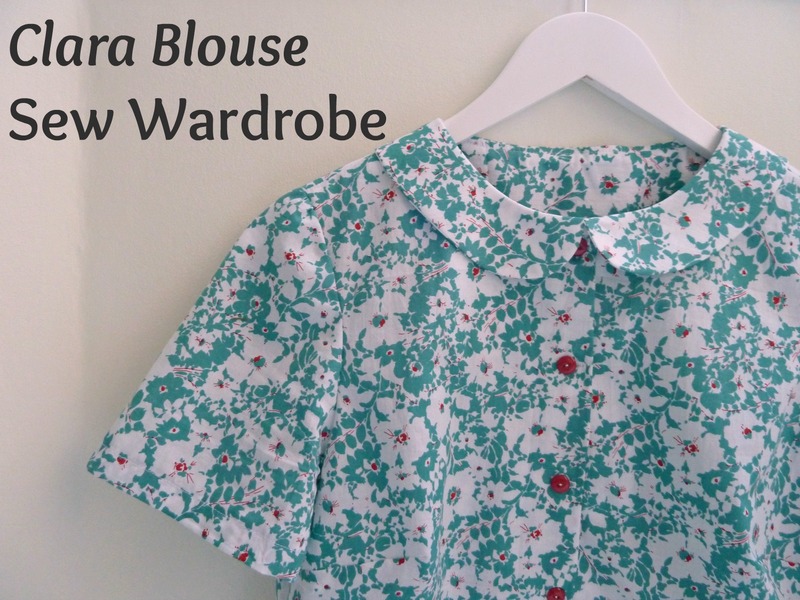 But if I’m looking for a particular pattern or style, Etsy is generally the place I go shop. 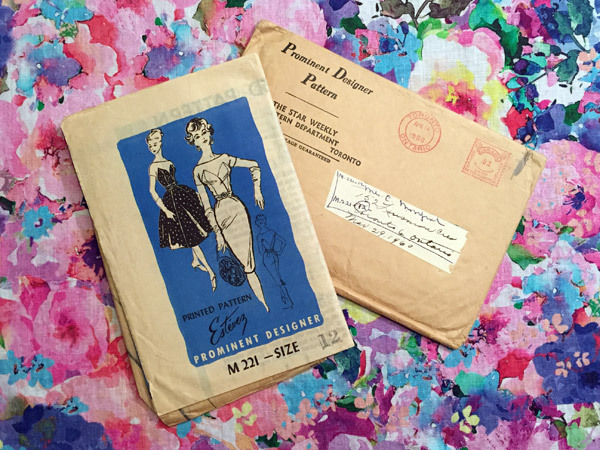 Thank you so much for sharing your precious collection with us Liz! 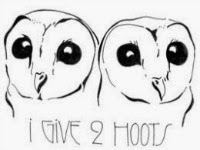 I really appreciate you digging it all out of storage and I hope doing so has unearthed some hidden gems for you. To all Vintage Pledgers out there, don't forget to enter our end-of-year competition to be in with a chance of winning awesome prizes! I'm not usually one to get overly excited about Christmas and similar holidays, probably because my family is scattered across the world. But, I am one to get excited about presents, so I've totally started to think about my Christmas wish-list already! Usually, I opt for pretty presents over practical ones. 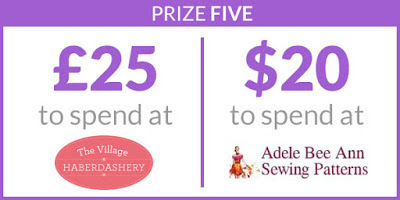 You know...gorgeous fabrics, lovely patterns, the latest sewing books...the list goes on. The reality is though, that I actually buy myself plenty of pretty sewing things all year round. What I really need are the practical items which I can't seem to bring myself to buy. 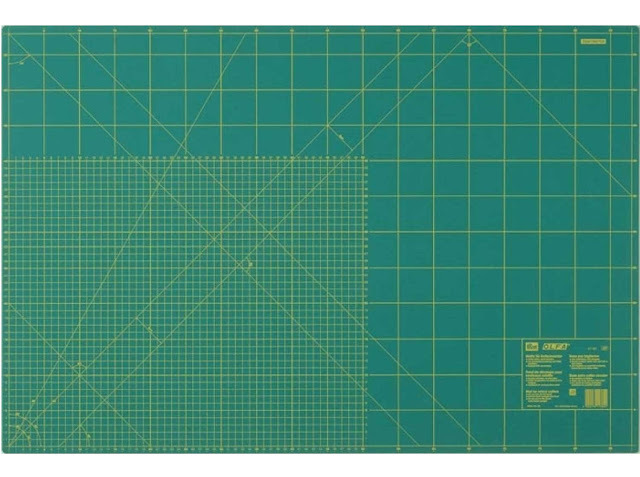 A big cutting mat. I'm a recent convert to and serious advocate of the rotary cutter, so a 90cm by 60cm one which should do very nicely! A walking foot for my Brother. 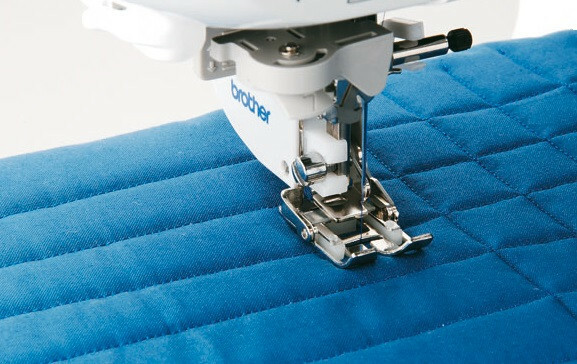 I know these babies are dear, but I sew a lot with jersey, so having one will make a huge difference to the finish of my makes. WeaverDee stock both of these items and always seem to have amazing offers on. If you weren’t aware, you can go one better with an extra 10% off your orders using STITCH10. Also, on a timely aside, have you seen their Halloween doggy costume?!? There’s even an adorable Vinny The Vampire Pug film to brighten your day! 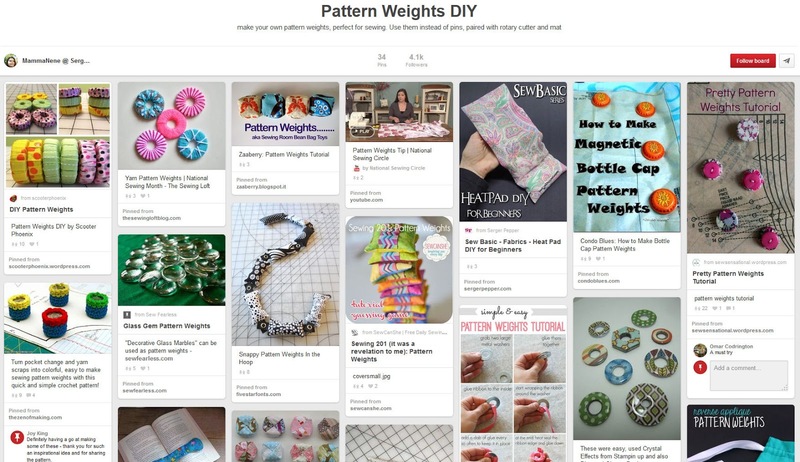 Another practical item on my wish-list is a set of pattern weights. I'm a huge fan of using household items for sewing (baking parchment instead of tracing paper, pens instead of chalk...), but store cupboard tins are losing their appeal as pattern weights. I’ve been longing for something less cumbersome which is flatter and doesn't get in the way. Plus, there's so much fun to be had in pimping up pattern weights! I stumled across this Pinterest Board full of fun ideas and I love Tilly's 'party ring' tutorial! 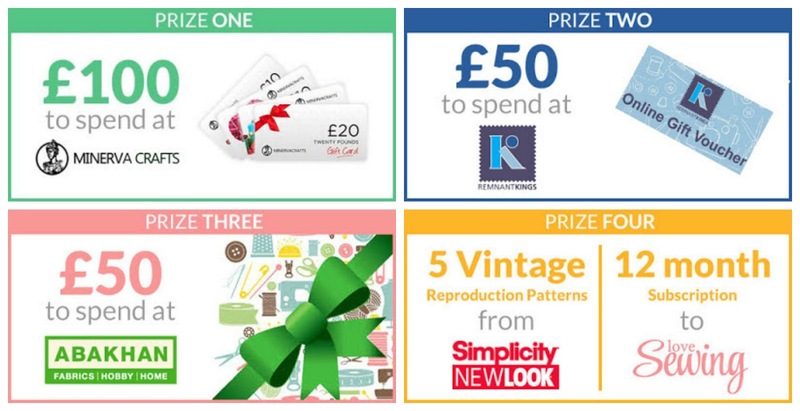 Have you started compiling your Christmas wish-list yet? What's on it? I've been wearing a lot of monochrome recently (maybe I'm running a temperature) and decided it was high time I made something monochrome too. The opportunity presented itself when Girl Charlee Fabrics got in touch about reviewing their jersey. I instantly fell in love with their triangle ponte (it's no longer in stock sadly, but they have many more gorgeous ponte prints on offer) and knew immediately that I wanted to make Grainline Studio's Morris Blazer. Let's talk fabric first, shall we? Just like the triangle stag print jersey I tried out before, Girl Charlee's triangle and plain black ponte is a lovely quality and handles beautifully - both pieces washed, cut and sewed up perfectly for me. 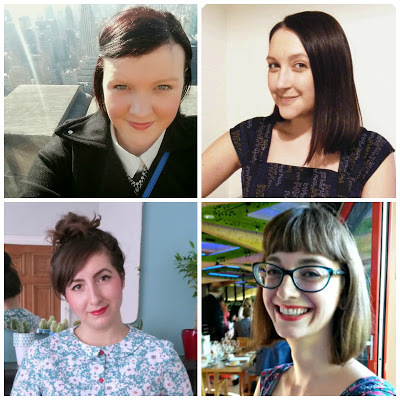 I also can't stop waxing lyrical about the range of jersey and prints they have! Better still, they're offering my lovely readers a 15% discount for two weeks, so hop on over to Girl Charlee Fabrics and use ODYSSEY until 21 October! 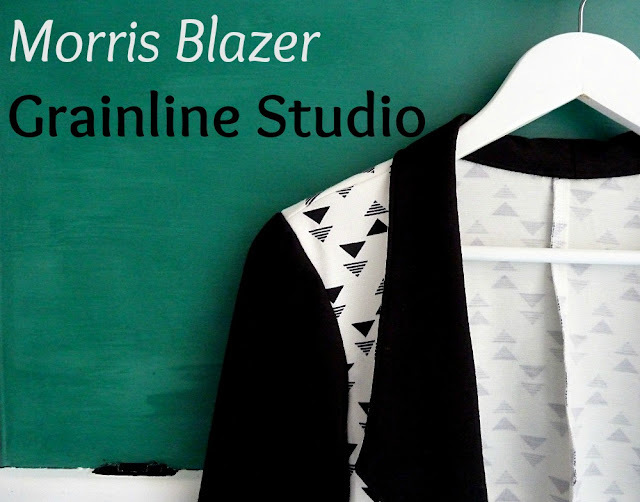 Moving onto the pattern next, Grainline Studio's Morris Blazer. What made it so attractive was the prospect of sewing something other than a dress, that was a bit more involved, but not too involved. A huge selling point was that the pdf is only 28 pages with relatively few pattern pieces. Jen's written instructions are top class as always, so this sewed up remarkably fast. I did, however, struggle with some of the diagrams as I found them a little too 'zoomed' into the detail and out of context. It's probably just an issue with my brain to be fair...it seems to work in mysterious ways! Sizing wise, I cut a 6 across the shoulders and an 8 elsewhere. I'm really inspired by Katie's boyfriend version of the Morris Blazer, so if I attempt her hack next I too will grade to a size 10 at the hem. I'm pretty pleased with my pattern matching on the back seam and I like how raw edges are neatly concealed, despite Morris being unlined. I also like the pointy, dipped front with interesting stitching detail. The long and short of it is, that I really dig my Morris Blazer. The design details, the cropped length, the monochrome...everything about it makes me feel rather cool!